Gigaset, one of the leading vendors in the field of technology and consumer electronics, is now an official Platinum Partner of FC Bayern Munich. The company is its exclusive partner for the segment of smartphones, tablets and wearables. The agreement, which was pre-sented to the public today in Munich, will run for an initial term of three years. 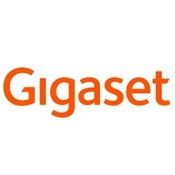 Gigaset, a leading name in the telecommunications and consumer electronics sector, recently announced that the company will expand its portfolio to focus on highlight growth markets: smart home solutions and mobile devices.